Our clients’ projects and goals are our top priority. Every project comes with a 100% guarantee that the service will be efficient, timely and cost-effective. 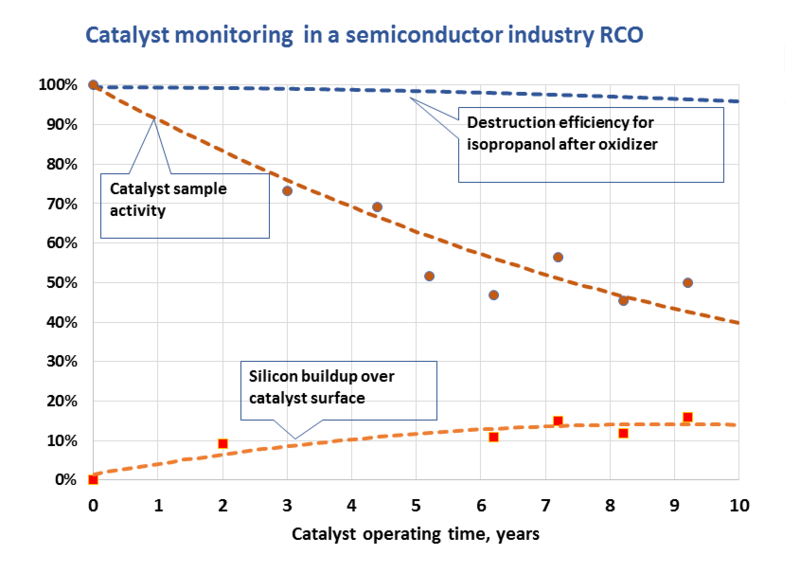 In this example, the squares and circles show catalyst activity and silicon concentration results for samples collected from the oxidizer during a 10-year long operating span. 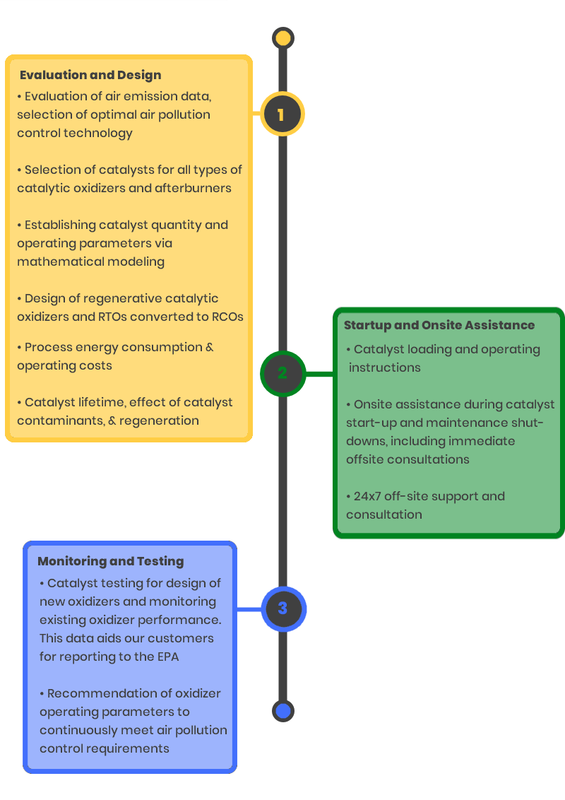 The oxidizer mathematical model incorporates the test results that enables prediction of the VOC destruction efficiency (upper curve). We are happy to advise if and how to correct the oxidizer operating parameters for meeting air pollution control requirements.